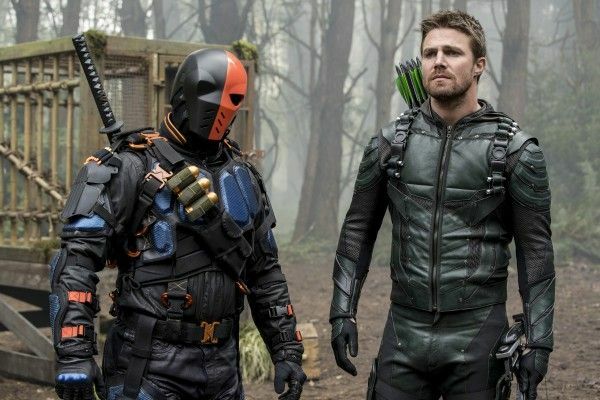 If you’re a fan of Arrow and Legends of Tomorrow and curious how these shows get made, I’m very confident you’re going to enjoy my exclusive video interview with Marc Guggenheim. I recently sat down with the busy showrunner/writer/executive producer for an in-depth conversation about how the shows are put together and what it’s like coming up with the storylines for both shows. 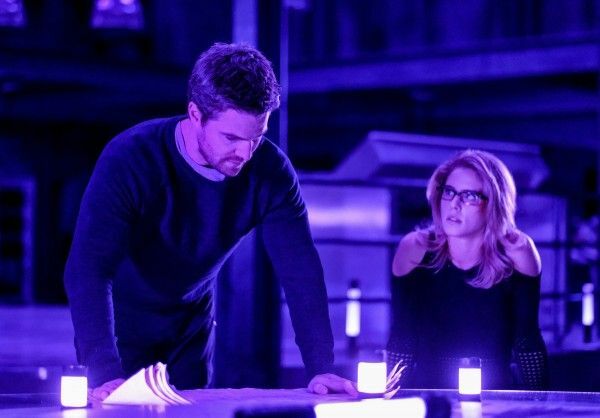 In addition to Guggenheim sharing plenty of behind-the-scenes details about making Arrow and how they work with the studio, he also discussed the upcoming crossover episodes, how they already know the finale, Easter eggs, the themes of the season, what’s coming up for Felicity Smoak (Emily Bett Rickards) this season, the amazing stunt team and their lack of Emmy nominations, how they cast Michael Emmerson, how many seasons they’re aiming for, how Slade Wilson factors in Arrow Season 6, and so much more. 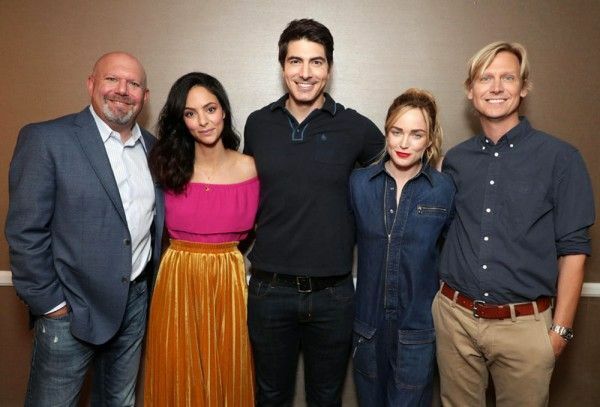 For Legends of Tomorrow fans, he discussed the challenges of making a time traveling show featuring people with various powers, the theme of the season, where they are in the writing process, how off duty firefighters built the Wave Rider, and more. Finally, for fans of Trollhunters, he talked about the success of the Netflix show and when we might hear about future plans. Trust me, if you’re curious how Arrow gets made, you’re going to learn a lot watching this interview. Check out what Marc Guggenheim had to say in the player above and below is a list of all the things we talked about. What is his title on Arrow and Legends of Tomorrow? How does the writer’s room work on Arrow? Is it a twelve months a year job or do they have time off? Do they expect the writers to have pitches for the new season when they get back? What happens in the first week back in terms of breaking the season? What’s the theme of Season 6? How many writers do they have in Arrow the writer’s room? How do they develop the 23 episodes in terms of do they have a log line for each episode early on? Talks about how they know when certain things will happen well in advance like episode 8 is the crossover. Have they ever discussed having more than one big villain for each season where one would wrap up and then a new one will come in? How many long lines do they have for the 6th Season right now? What directors do they have for Season 6? Do they factor in actor contracts when writing the season? Will Arrow last as long as Supernatural? Are they even thinking about that? 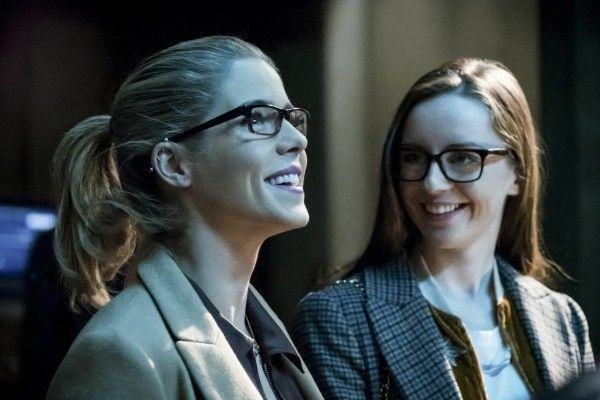 Talks about the ratings for Arrow and importance of streaming. How after the season ends they go to the studio to pitch the new season. Has anything ever changed as a result of notes? With the abundance of superhero shows does that effect getting certain characters? Easter eggs talk. Can they put a Daily Planet in the background? Crossover episodes talk. What did they learn last year that they wanted to do for this year’s episodes? Do they have a template for the show where they can film a set amount of action days and VFX shots? Have they ever considered having a mostly talking episode where the characters debate movies and have fun? Talks about the great action on Arrow and the amazing work by the stunt team. How there is an abundance of work in Vancouver if you’re in the industry and in the union. How the Wave Rider was built by off duty fireman. What can he say about Legends of Tomorrow Season 3? Talks about the challenges of making a time traveling show featuring people with various powers. Where are they in the writing process on Legends of Tomorrow? What is the theme of Season 3? What can he say about Felicity in Arrow Season 6? Talks about continuity and if the majority of the audience wants to have the little questions answered like how do people have money or when does Oliver sleep. Game of Thrones talk (spoiler free don’t worry). Back to Felicity talk and her storyline. Does he read a lot of the comments on Twitter? Talks about how he originally was told to call Felicity’s code name Overwatch on Twitter and how they used it on the show. Have they had any more talk about spinoff’s shows from Arrow, Legends, etc. How did they get Michael Emerson on Arrow this season? How does the contract work when signing someone like Michael Emmerson and how many episodes they will be in? What can we expect for Thea in Arrow Season 6? Will we see more romance in Arrow Season 6? What kind of guest stars will they have this season? Talks about why he can’t say anything specific. How does he have the time to work on Trollhunters? Does he know the ratings on Trollhunters and how many seasons have they announced? How some amazing shows never got any Emmy nominations. Do they get a bump in budget each season on Arrow and Legends of Tomorrow? Reveals they did get a new soundstage. How production challenges can lead to great ideas. How does Slade Wilson factor in Arrow Season 6?